I’ve been using Budgie happily for more than half a year now (resting after half a year of distro hopping). 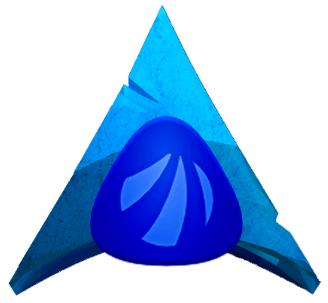 Antergos + Budgie being my first distro/DE combo that never made me look back at whatever else is out there. Yesterday however, budgie wouldn’t run. It would try to launch but then I would be thrown back at the login screen. Luckily I also have Gnome installed so I can login into it and do my work. I would however like to recover Budgie, as I like it and have customized it to fit my style and usage pattern. The system is up to date, I think a recent update might have crashed the system. I always update everything that is being offered by the Update Center. I have tried reinstalling budgie-desktop. The output there is pretty verbose, I figure it would enlighten someone more knowledgeable than me, so I have captured all output into a file and have linked it here. Anyone any clues how I can fix this? Yesterday however, budgie wouldn’t run. It would try to launch but then I would be thrown back at the login screen. Last weekend I tried to install Budgie, just out of curiosity. It behaved the same way. Luckily I also have Gnome installed so I can login into it and do my work. My guessing would be that the budgie devalopers have not taken care of it after the new gnome release. Though, if I m not mistaken, they have announced that their next budgie major release (v.11) will be qt based and abandoning gtk3. hmm, you mean we’re in some kind of limbo until budgie 11 kicks off in style with their new technologies? Not necessarily, since there s not a fixed release date of v.11. Most probably, Budgie should have to keep up with the new gnome release, sooner or later. Someone who uses it could be of more help. Well, the love ended after seeing Budgie going down-river. Settings started to disappear, Budgie specific controls stopped working. In the end I abandoned it and after a bit of customization found Cinnamon to do exactly what Budgie was doing minus bugs +nice extra tools and ton-loads of support.